It’s no surprise that critics everywhere are placing 2017 as one of the best years for video gaming in a very long time. We’ve had some seriously great game releases throughout the year, and when it comes to picking only three of these to top any list, it’s a very, very difficult decision. How do you narrow down so many amazing games to a paltry three out of what could easily be a top 10, or even top 20? Well, it’s a dirty job, but someone’s gotta do it, so here are my top three games of 2017, with a smattering of honourable mentions. Prey – With one of my all time favourite games being System Shock 2, I found Prey to be a superb take on the first person survival horror genre, and one that was actually a better spiritual successor to System Shock than the official successor, BioShock (that’s very high praise, indeed). Prey was simply brilliant in terms of its story telling; tense, ammo conserving gameplay; and had some of the most unique antagonists in a long time. Mario Kart 8 Deluxe – The Switch may well be the single biggest success story of 2017, and with games like Mario Kart 8 Deluxe, it’s not hard to see why. Always a go-to game in any Nintendo console generation, Mario Kart 8 Deluxe took the Wii U’s outing and improved it for the much more successful platform, and the end result is pure, blissful enjoyment, and one of the best multiplayer games you can find. Horizon: Zero Dawn – Sony really hit it out of the park with Horizon, an open world action title that actually did the open world thing and made it interesting again. With one of the best leading roles of the year in Aloy, and some of the best combat mechanics of recent times, Horizon’s is a must have title, and one that even has a thoroughly solid story at its core. The Evil Within 2 – Bethesda’s sequel to the troubled first Evil Within gripped me from the start, and didn’t let go until I’d finished. Improving upon every aspect of the original, and adding in a whole new slew of features, The Evil Within 2 was a prime example of how sequels should be done, and also one of the best games of the year. Splatoon 2 – I missed out on the first game, as I gave the Wii U a miss, but picking up Splatoon 2 on Switch introduced me to an emulsion-filled drug. Addictive, challenging, full of upgrades and new gear to find, and more importantly, fun. Splatoon 2 is a perfect online experience that isn’t mired in toxicity, and is multiplayer goodness only Nintendo can deliver. Nioh – Without a doubt the best SoulsBorne clone around, Nioh doesn’t simply imitate From Software’s magnus opus, but it enhances it and does it’s own thing, adding in new mechanics, a fast-paced and challenging combat system, and douses it all in fantastic Japanese mythology and lore. As atmospheric as it is brutal, Nioh is a definite must have for any Souls fan. Super Mario Odyssey – Missing out on my top three by the narrowest of margins, the latest 3D outing for Mario is also arguably the very best (yes, even more so than Mario 64 – deal with it). It’s bizarre, pushed the boundaries of what a Mario game can be, and no matter how bonkers it gets, it’s always pure, unadulterated perfection in game form. Simply put, no other company can make 3D platformers like Nintendo, and if you disagree, play this and eat your words. This is a game that redefines what gaming storytelling can be, and it plays with almost everything we know about progression, story, characters, and much, much more. 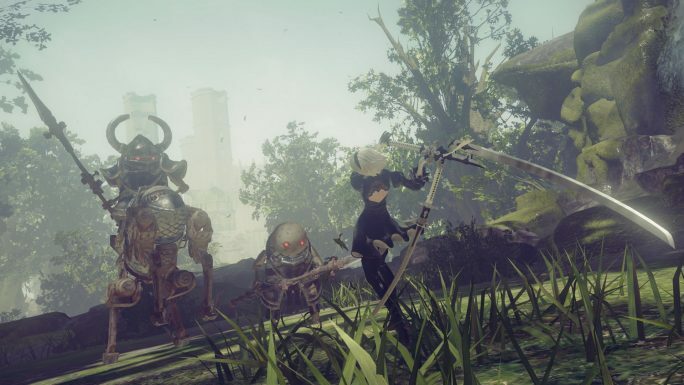 A master-class in how to create a truly unique title, NieR: Automata is equal parts a furiously good Platinum Games hack and slash, and a deep, moving, and just ridiculously impressive RPG.. The game has several endings that need to be seen to get the full experience, but don’t think you’re to simply replay the same game several times – oh no. I won’t spoil anything, but replaying NieR: Automata is like replaying no other game. Utter brilliance. Persona 5 was sat comfortably on top of my game of the year list for the majority of 2017, and as soon as I picked it up, I knew that it would take a titanic effort to beat it. This is a game that’s as stylish and slick as it is a joy to play, and the story on offer here is amongst the best you’ll find in any game, especially this year. The Phantom Thieves are a lovable bunch of kids who you can’t help but relate to on some level or another, and the dungeon crawling turn-based action is simply masterful, and successfully made me like the increasingly stale JRPG formula again. 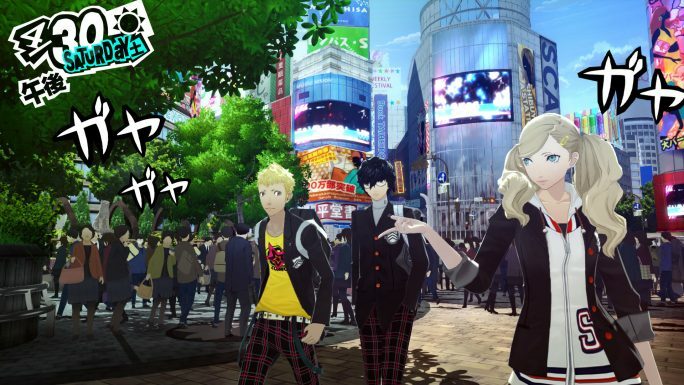 Persona 5 really is more than a game, though, and a major part of the experience is getting to know the ins and outs of your characters, and soaking up the brilliant recreation of Japanese culture. Effortlessly establishing itself as one of the very best JRPGs, this is a no brainer, whether you’re a JRPG fan, or not. Yes, the only game capable of knocking Persona 5 off the top spot (once I finally got hold of a Switch later in the year). I may be a little biased, sure, as the Zelda series is one of, if not my all time favourite series, but even taking this aside, I dare anyone to honestly deny the sheer brilliance of this game. 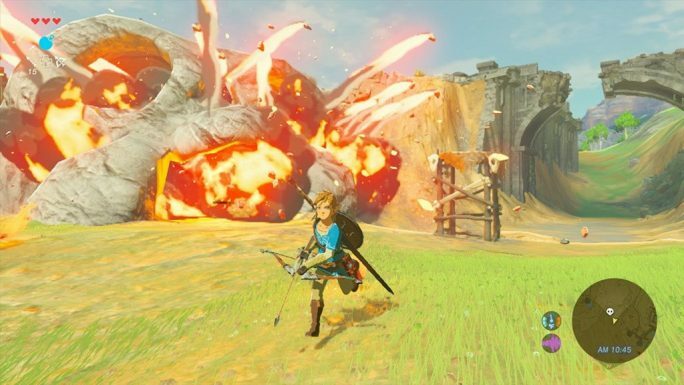 Sure, the open world mechanics and many features aren’t exactly ground-breaking, taking as they do from the Zelda series and games like Skyrim, but when you put this together with the unbridled skill of Nintendo’s in-house dev teams, you end up with the kind of polished and flawless title no other developer can touch. Beautiful, charming, mysterious, and above all, endlessly engrossing and enjoyable, Legend of Zelda: Breath of the Wild is unquestionably my number one game of 2017.